Historically, Maasai women have had no power. They are not equal. They have no money. Yet, they are responsible for feeding, clothing, and sending their children to school wearing uniforms and shoes and with pens, pencils and paper. How do they get money for these things? Some women break stones to create gravel, others burn wood branches to create charcoal, and some make beaded jewelry but have no place to sell it. 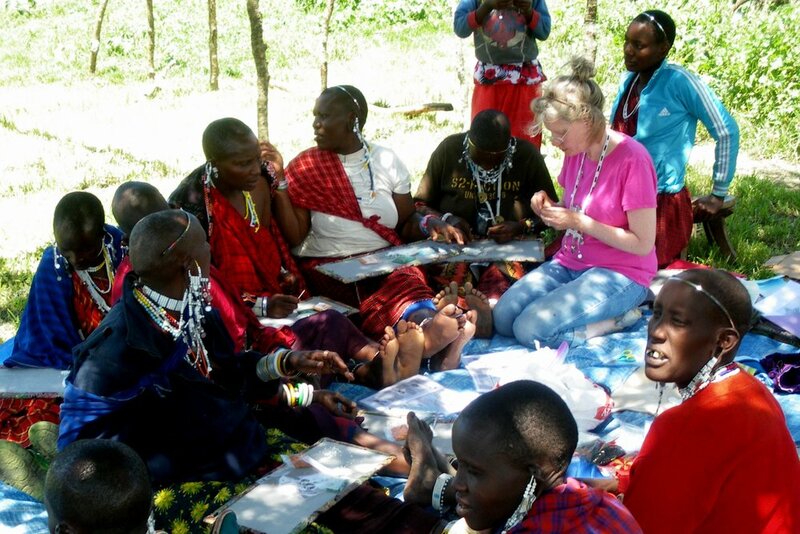 The Warriors Women’s Empowerment Program has been created to help more Maasai women start a jewelry making business to earn revenue, support their families, and improve their futures. What starts this women's empowerment program are donations from generous supporters to the Eluai Women's Jewelry Making group. As the proceeds from their sales are returned, the women reinvest the proceeds in more jewelry material and, over time, can start other small businesses. Won’t you help more Eluai village women get their small jewelry making business off the ground? A gift in an amount below will help one women create or continue a jewelry making business. A gift of any amount is welcome.